Quality Controlled Manufacturing Inc. specializes in the precision machining of complex components and assemblies in all metals, including exotic alloys using Six Sigma methodology and lean manufacturing principles. Emerging as one of the nation’s leaders in complex machined components and assemblies, QCMI serves industries that require the highest level of precision in the machining of general to very complex components and assemblies. QCMI produces components with complex shapes, contours, exacting tolerances and stringent quality requirements. We currently provide engineering, R&D, CNC, welding, EDM, NDT, fabrication, inspection, next higher assembly and many additional manufacturing services for the following industries: aerospace; power generation; Department of Defense (DOD); oil and gas; marine; and heavy equipment. QCMI achieved Supplier Gold status five consecutive years from United Technologies Corp. (UTC) and is ISO9001/AS9100 registered, Nadcap accredited for nondestructive testing and ITAR registered. QCMI won the 2014 and 2015 #1 Healthiest Company Award in the Small Business Category (1 to 100 employees) from the San Diego Business Journal. QCMI received the 2014 Family-Owned Business of the Year Award in the 51-150 employee category from the San Diego Business Journal on April 3, 2014. On February 24, 2014, QCMI was issued the USA Department of Transportation, Federal Aviation Administration (FAA) Air Agency Certificate. QCMI is now authorized to operate an approved FAA repair station with the following ratings: Limited Accessory and Non-Destructive Testing. QCMI received the 2012 San Diego BBB Torch Award for Marketplace Ethics. QCMI won in the 25-to-99 employee category. Click here for more information. 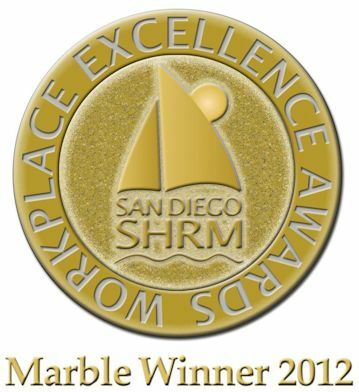 QCMI was named the San Diego Society for Human Resource Management (SD SHRM) 2012 Workplace Excellence Awards’ Marble Winner in the Under 150 Employee Category | Small Business. Quality Controlled Manufacturing Inc. was named one of San Diego’s Top 100 Fastest Growing Companies by the San Diego Business Journal. QCMI was named the 2013 #5 Healthiest Company in the Small Business Category by the San Diego Business Journal. Click here for more information. COO / CFO Rick Urban received the 2013 Top CFO Award in the Small Privately-held Company Category. Click here for details. CEO Bob Grande was named Santee’s 2012 Person of the Year. Click here for details. QCMI received the San Diego East County Chamber of Commerce 2012 Manufacturing & Construction Award. Click here for details. Quality Controlled Manufacturing Inc. also made the 2012 and 2013 Inc. 500 | 5000 List of America’s Fastest Growing Private Companies by Inc. Magazine. Click here for more information.